As I predicted, Nevada City will be involved in the 2010 AMGEN tour. 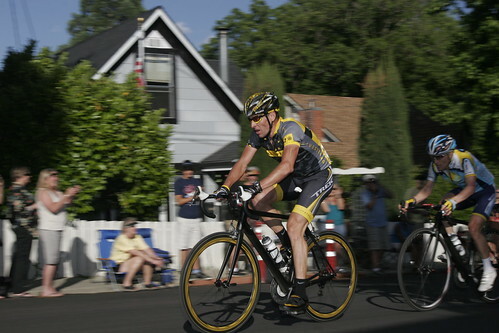 In fact, the prologue to the 2010 race might start in the wonderful foothill town, News10 reports. The prologue would end here in Sacramento which means lots of two-wheeled action for our fair city as well. In addition the race has been moved to May. The announcement about the race layout will be made official tomorrow, and it looks like it is still uncertain whether Lance will compete since the Tour of Italy also takes place in May. UPDATE (Thursday 10/22): It’s official, Nevada City will start the 2010 tour. Also official is Lance Armstrong’s participation in the event. Big news for our neighbors up the hill! LOL, actually, the story broke here hours before News10 had it…. Good for Sacramento and good for our May is Bike Month campaign. Should be better than the chilly, drizzly February race. @Radio Matthew you know you’re a massive tool, right? I think everyone gets it that you’re a Fox40 homer. This site tolerates you and everything, but try pretending that you get the joke, k? Oh, and you don’t have to comment. You can just read a post, you know? It’s obnoxious, man. Looks like they are dispensing with the traditional prologue and having Stage 1 begin in Nevada City and riding 78 miles to Sacramento (a prologue is usually a short individual time trial held before the race and is used to determine which rider wears the leader’s jersey on the first stage). Bite me. Just kidding, you’re right. That’s going to be a sweet deal!